Does it help or hinder employees at small businesses? Learn what local experts have to say. Americans love social media. They love smartphones and mobile devices even more, which means the number of workers who are bringing them into the workplace is ever-increasing. • Seven in 10 Americans use social media. • 77 percent own smartphones, with 95 percent owning a cellphone of some kind. • Eight in 10 own a desktop or laptop computer. • About 50 percent have a tablet. • One in five own an e-reader device. Business owners, as a result, have to decide how employees will use technology for personal use while at work and whether to allow them to log in while on the clock. The use of technology at work can be a double-edged sword. The Hartford’s 2016 Tech @ Work Survey reported that the majority of the 1,200 U.S. adults surveyed said their productivity was improved by the Internet, email and mobile devices. Of those surveyed, 57 percent said they could not do their job for a full hour if the Internet went out. However, some workers reported they felt detrimental effects of distractions from technology. Nineteen percent said social media decreased their productivity; 12 percent said mobile devices were to blame. 1. Do I need a technology policy? The short answer is yes, according to legal and technology experts. The Houston Chronicle’s Small Business publication reports that technology is one of the easiest ways to slow down an employee’s productivity if it’s not regulated. Misuses of technology can be potentially harmful to the business’ reputation and ruin relationships with clients if it is used incorrectly. All of these things can be addressed with a technology policy. 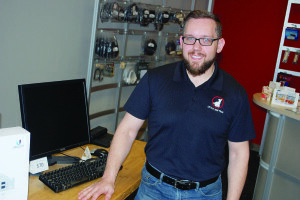 Paul Schwegler, owner of Little Dog Tech in West Des Moines, says about half of the business owners he works with have a technology policy. Usually those with fewer than 10 employees have no policy. 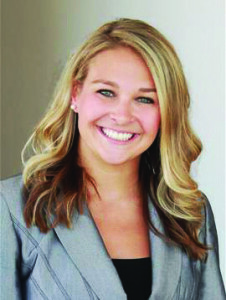 Kelsey Crosse, an attorney with Davis Brown Law Firm in West Des Moines, helps businesses draft workplace policies and employee handbooks to ensure they are compliant with laws and regulations. She advises all of her employer clients to think about technology and social media use when they hire applicants and how to manage how employees use it. Wells Fargo, which has offices in West Des Moines, has technology policies and procedures for employees they are required to follow, both for use of technology and electronic communication systems, Ann Wasik, a company spokeswoman, says. 2. What should it include? Schwegler says technology policies don’t need to be complicated. He’s helped companies draft ones that are only a page long. Any policy needs to include information about the expectations for use of company technology and whether any personal use is allowed, as well as whether personal devices are allowed on site, and when and how they can be used; the company’s position on its employees’ use of social media; the type of websites and electronic information that is prohibited; information about disciplinary action should the employee be found in violation; an explanation of what is company-issued technology and that information stored on company equipment could be eliminated at any time. Companies wanting a more extensive technology policy may include specific information about various aspects. For example, a company could establish an email policy that lays out what it expects in emails from the company down to the email signature and the font color. Employees will likely participate in social media and blogs, so employers will need to provide direction in their policies about what conduct is expected. Generally, Crosse says employees are expected to conduct themselves to the same code of conduct that is expected in the workplace and to be courteous to customers or clients and not participate in harassment or antidiscrimination. The policy needs to include this information, as well as an explanation that the employee is not to post or share any company information that is confidential. The city of Waukee’s technology policy states employees are encouraged to use electronic media and services such as electronic bulletin boards, online services, wire services and the Internet because “theses communications and access to information are very useful in conducting city business.” However, the media and services provided on or through city devices are city property and their only purpose is to conduct city business. The city also prohibits the installation of hardware or software onto the city’s computer system or electronic devices that are city property. The policy says limited, occasional and incidental use of electronic media for personal, non-city purposes is understandable and acceptable but the information may be monitored by the city. City employees are also warned their email may constitute a public record and be obtainable by others subject to state law. The technology policies will likely be included with other policies in the employee handbook, which each employee should be required to review and sign, saying he or she has read it and agrees to the conditions within. 3. Should personal devices be allowed at work? The decision of whether to allow personal devices at work is usually left to the discretion of the business owner, but Schwegler recommends employers not allow employees to access the company network with any personal devices, whether it’s a cellphone or a laptop, even if it’s used for business. If an employer allows use of personal devices, Schwegler says the business should provide a guest network for employees to use with those devices. Wasik says Wells Fargo employees are allowed limited use of personal technology such as cell phones while at work if they use a secure connection. It’s up to the discretion of each manager whether an employee can use the company network with his or her personal device, she says. Personal technology use varies across industries, Crosse says. For example, medical and healthcare professionals and some factory or plant workers are often prohibited from bringing their cell phones to work or are required to leave them in a locker during work hours. “Some employers don’t mind if employees are looking at cell phones occasionally, but they need to have what is expected outlined in advance, so the employer can point to these policies,” she says. If employees need to take a personal call, they should find a private place to talk, etiquette experts say, and even then, personal calls should only be answered if they are an emergency or will not interrupt work. 4. 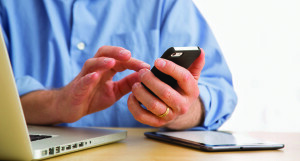 Can employees use personal devices for work? While most companies will provide their employees with the hardware needed to do their job, some will offer a “bring your own device” program. At Schwegler’s company, employees have their own email addresses with access to company email on their cell phones. He requires employees to have a passcode to protect the phone and the network. “I don’t want them to lose their phone, and someone to get into our email network,” he says. Many companies have employees who are mobile workers and work outside of the office. Experts generally agree employees can utilize the company laptop for limited personal use such as checking one’s email but should remember that information can be viewed through the work network. The computer should not, however, be used in any circumstance by the employee to make money outside of the company. Companies should ensure they have the ability to eliminate email accounts or remotely remove programs from an employee’s device should the individual be terminated or leave the company. Wasik says Wells Fargo requires its employees to use a secure network to access work information on a personal device. “We use that to access our work email, our work calendar and any work applications,” she says. 5. Are there legal obligations? Employers need to be upfront with employees through the policy about what they have access to and how employees will be monitored. Some companies have a software monitoring system, which needs to be disclosed. Employers should also notify their employees any information transmitted through the company network can be monitored, recorded or even logged without the employee’s knowledge. Legally, there are instances where the company has the right to inspect an employee’s personal device, Crosse says. Employers are required by law to provide a safe, harassment-free workplace. “It depends on why the employer wants to view it, what information is on there, and the motive for wanting to see it,” she says. For example, if an employee has been taking inappropriate photos of another worker, the manager or supervisor might be in a situation when they ask the employee to see the information. The pressure is also on employees to turn over devices if they have been forewarned in the employee handbook devices can be inspected upon request. Crosse cautions employers from viewing an employee’s personal device unless it is for a compelling reason. There may be times when an employee participates in a public forum or posts something on social media that upsets the employer. Crosse says the employer needs to remember even if he or she terminates an employee as a result of an online post, it does not mean the employee will be denied unemployment benefits. Employers also need to be mindful of how their employees use company-issued technology outside of work when it comes to overtime pay, Crosse says. Non-exempted employees are only allowed to work 40 hours a week before they are paid overtime. Any technology policies need to communicate this to employees so they are in compliance with the law. Wells Fargo requires its employees to follow protocols for password changes to ensure devices and networks are protected. This would include email on an employee’s personal phone. “We are told that anything that essentially gets passed through the company network is not private, thus the limited use of personal devices at work,” Wasik says. Crosse says the biggest safeguard an employer can have is to ensure technology and social media policies are enforced consistently once they are in place. “It definitely helps mitigate any liability or litigation claims in the future,” she says. 6. What if the employee leaves the company? Business owners need to ensure their technology is set up in a way that prepares them for a potential departure by or termination of an employee. Software programs and files that are installed onto an employee’s personal device need to be installed in a way where they can be removed remotely. Crosse says it’s also important employers have a plan in place for those employees who had access to the company’s social media accounts and how passwords will be changed. If a Wells Fargo employee leaves or is terminated, that person’s email is shut down and can no longer be accessed on his or her personal device.